Truth: I went shopping for Christmas gifts at Target. Spent $115. And walked out with one gift... two pillows, a sweater, and robe for myself. The struggle is REAL y'all! Buying only for others this holiday season! It sounds so vain, but it's true. I can help but look, right? Anyone else experiencing this? Another truth: Workout clothes are Target are really, really cute. I spent about 15 minutes browsing the activewear section, but you know what my issue is? Mixing, matching, and deciding what goes together! And what goes with what's already in my closet. It makes all the beautiful clothes suddenly feel very overwhelming! This is the reason I recently became a member of Fabletics! Have you heard of it? 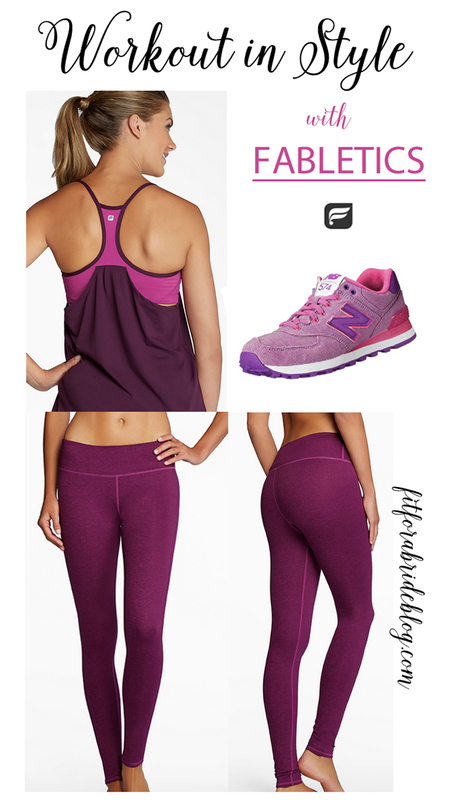 I haven't bought anything yet, but the reviews are great: Lululemon-quality pants at a third of the price; pre-styled outfits (I love that part); and curated looks picked specially for your workout style sent directly to you. Opt to buy one of those outfits or, opt to skip the month. Whatever you do, you won't be spending more than about $50 per outfit. Yep, PER THE ENTIRE OUTFIT! Sounds pretty cool, huh? The clothes are cute, too! Supposedly Fabletics has other perks too, through the VIP program; even refer-a-friend cash back. I'm so intrigued! Maybe like the capsule, this is the end of my workout wardrobe woes? Are you just as hesitant to style your workout wardrobe? Have you heard of Fabletics? PS: I'm really, really into these New Balance Retro Sneakers!! Who would have ever thought these were going to come back in style? ?